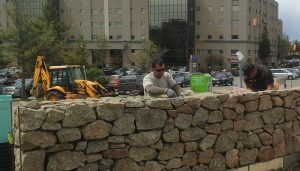 GC Fodera has been a trusted masonry contractor serving clients throughout the Massachusetts and New Hampshire areas working on a wide range of projects. Whether we are building a new Dicks Sporting Goods location, a mixed-use development community, or a luxurious outdoor living space for a residential home, we provide the exact same level of detail, quality and safety. We get the job done on time, within our estimated budget and with a finish product that will stand the test of time. 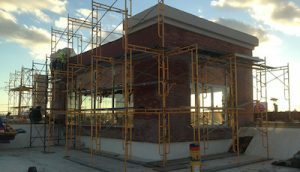 We have proven time and time again that we can keep up with any type of project schedule and delivery a superior product that will stand the test of time, all while maintaining a clean and safe construction site. From concrete block construction to complete brick veneer, we’ve got you covered. Contact us today to discuss your project or learn more about our company. looking for, give us a call!